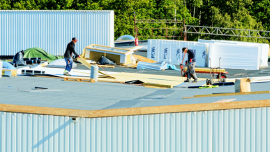 Nearly all roofing companies offer free interviews or consultations. This is one of the most critical parts of your hiring process, because it gives you the opportunity to gauge the quality of their work by the way they interact with you and explain what you will be needing. 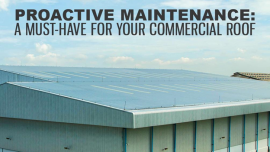 This also gives your prospect company or companies the chance to evaluate your roofing needs and present you with options for repair. Inspecting your roofing up close is important. Any roofing company that doesn’t go near your roof for an initial inspection and simply provides you with a list of services that you absolutely need shouldn’t be doing your repairs. 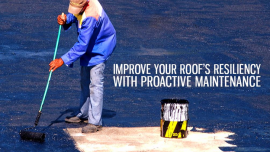 A good roofing company will get down and dirty to evaluate exactly what your roof repair needs are and walk you through the steps to be taken during the actual repair process. All estimates must be written and then signed for verification by your contractor. Don’t rely on spoken communication alone. If you want everything in black and white, you can always request for written proposals from your roofer and any contractor worth its salt will be more than willing to provide you one. Your chosen service should also be able to provide you with all the possible solutions you can choose from to best address your roof’s damage.